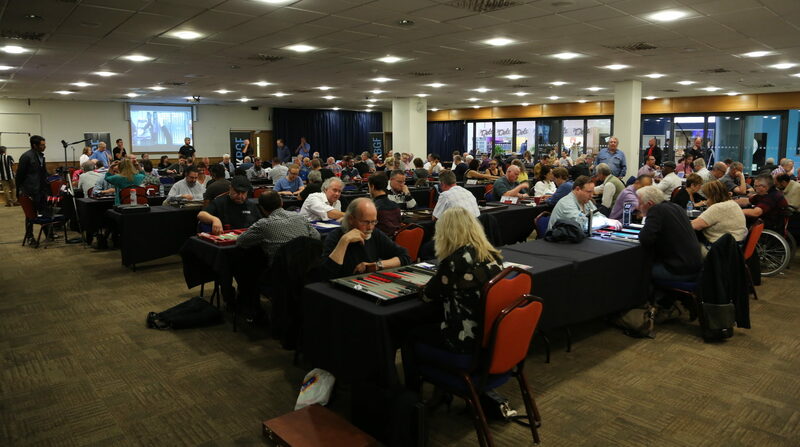 This calendar is a guide to the larger backgammon tournaments in the UK and Republic of Ireland. Some European tournaments are also included where these are thought to be of particular interest to UK players. Use the Search boxes to look for tournaments by month, location, or name. These tournaments are larger ones held annually or quarterly. For regular monthly tournaments, see the table below. – Invitational tournament – contact us for details. 64 – strict limit on the number of entries. – BMAB tournaments: All matches videoed and analysed, with gradings awarded based on PR. Main prizes are based on matches won. – Charity-supporting tournament – click icon for details. – Very few if any places remaining, other than cancellations. A waiting list will normally be available; contact the organisers for details. No prizes for naming the players…or the date of this tournament! January 29-31 Cotswolds Invitational Weekend The Bear of Rodborough, Rodborough, Gloucs.